Canon has expanded its renowned SELPHY compact photo printer portfolio with new Canon SELPHY CP800, which comes equipped with a new 2.5-inch tilt-up LCD screen, and Shuffle feature for turning your beloved photos into an art-inspired collage, capable of printing high-quality, water-resistant 4″ x 6″ photo prints lasting up to 100 years in about 47 seconds, available in 2 variants of color – white and black. With new Canon SELPHY CP800 photo printer, users can enjoy a truly portable printing experience while on-the-go, thanks to the optional battery pack (NB-CP2L), seems perfect for sharing precious memories of 1-day camp, outdoor activities and so forth with others. 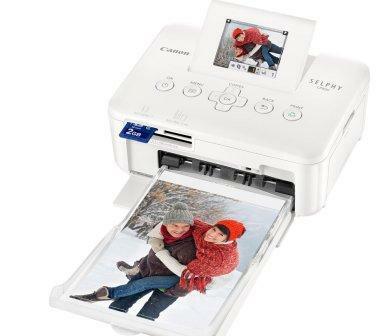 The latest ultra-compact, lightweight Canon SELPHY CP800 digital photo printer which measures 4.7 (W) x 2.3 (H) x 6.7 inches (D) and weights just two pounds is expected to be available for an estimated retail price of $99.99.